The earthquake occurred at a depth of 66 km, thus widening but at the same time softening the impact. Weak shaking has been perceived by inhabitants from Davao. Mindanao is a seismically very active area in the Philippines. On July 23, 2010 a very powerful M 7.6 earthquake struck the in Moro Gulf (western side of Mindanao) . The earthquake did not generate a Tsunami and was not damaging because the hypocenter (depth) was at 612 km. 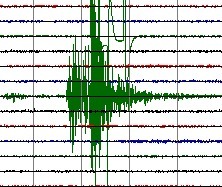 This earthquake (and a number of heavy aftershocks) could be felt as far as Indonesia, Brunei, Malaysia and Singapore.